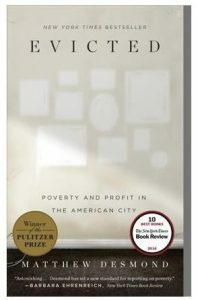 We read Evicted – poverty and profit in the American city by Matthew Desmond last year in our local library book group. 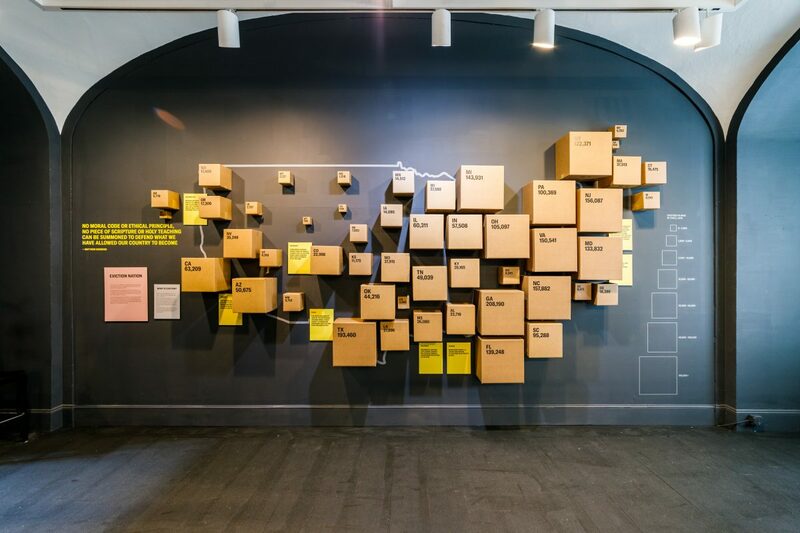 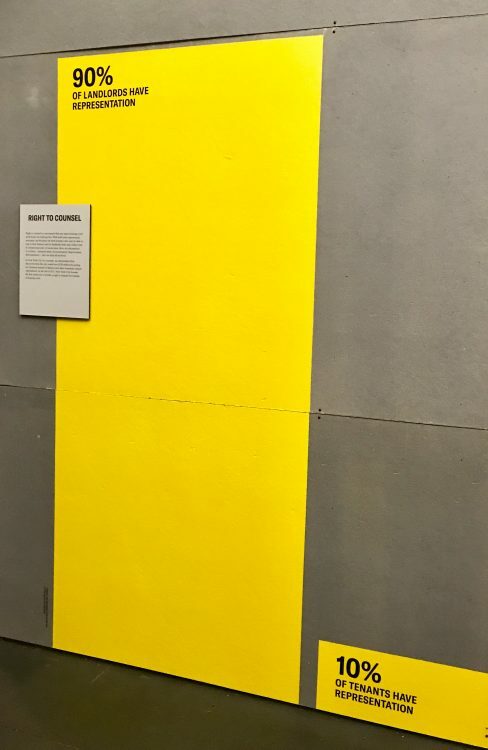 Recently on a visit to Washington DC to the National Building Museum (401 F St. NW – Judiciary Square Metro stop) we came on an exhibit based on the book. 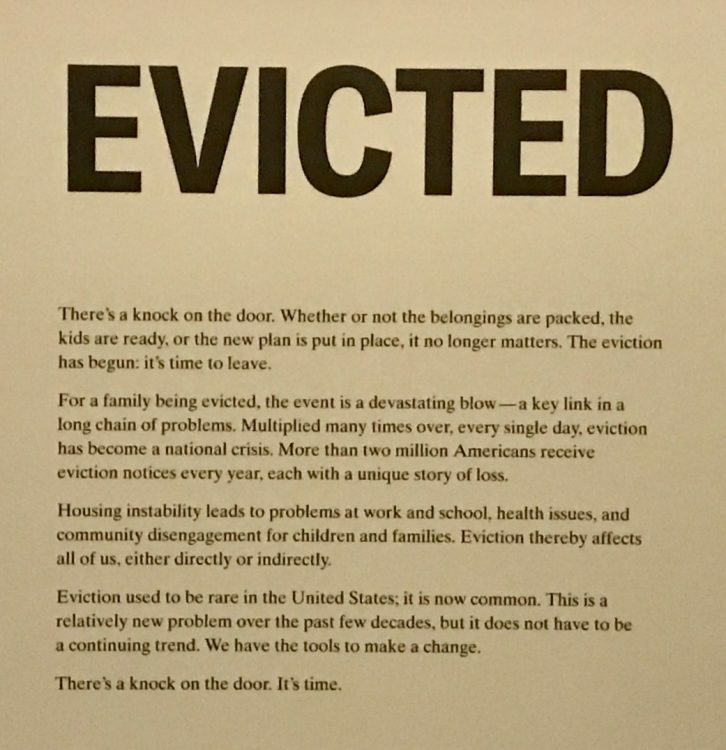 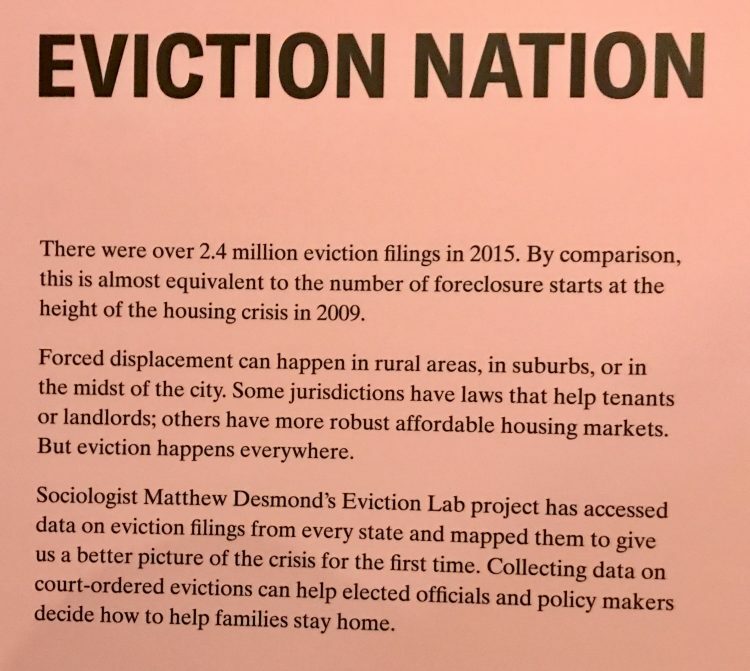 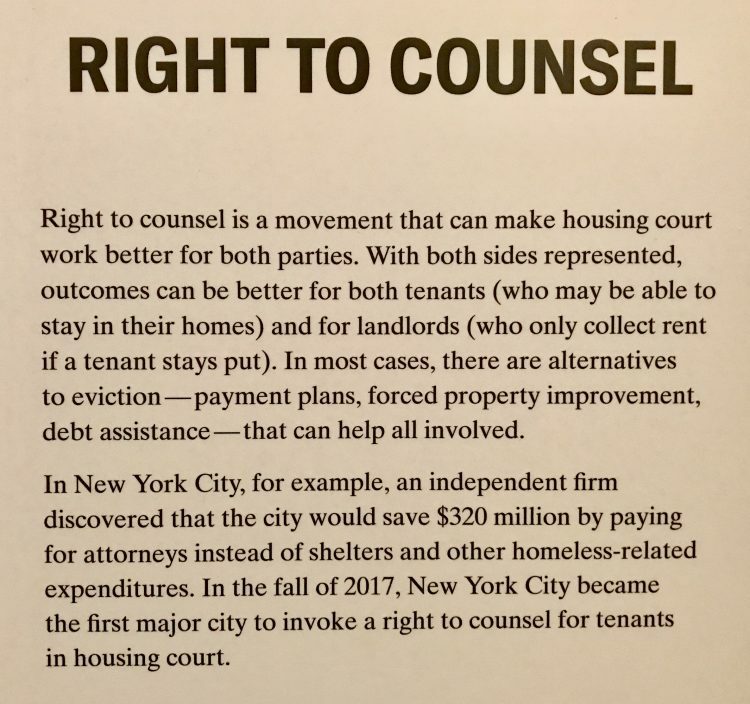 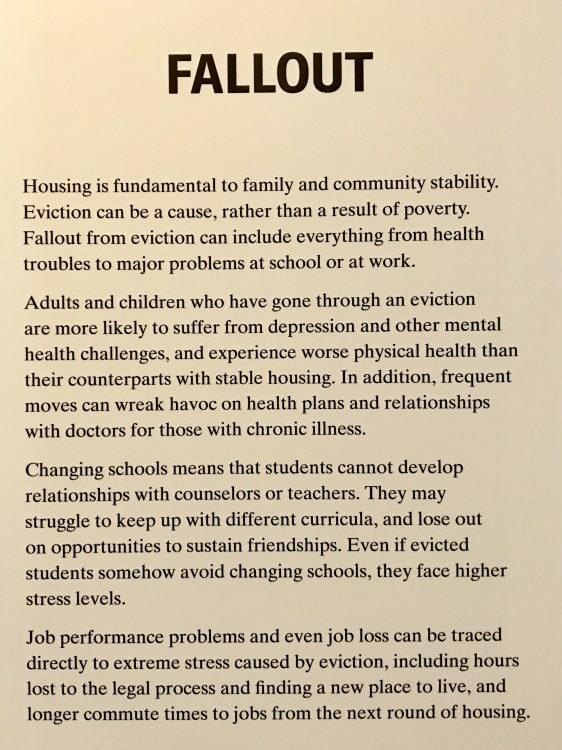 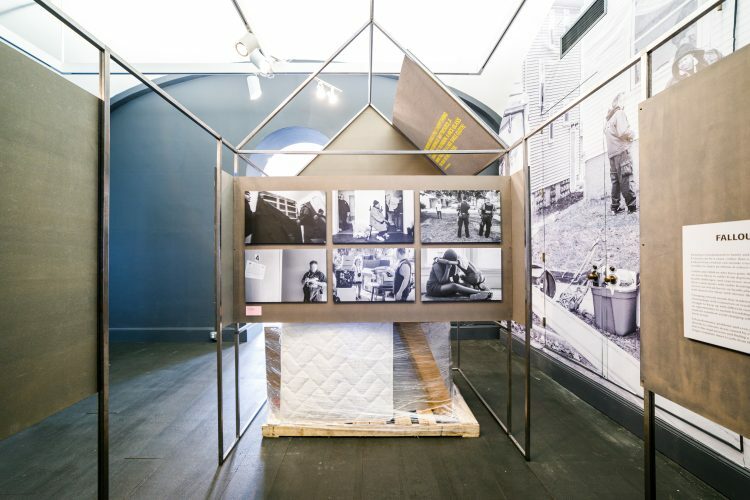 Evicted, the exhibition, is on display FREE until 5/19/2019. 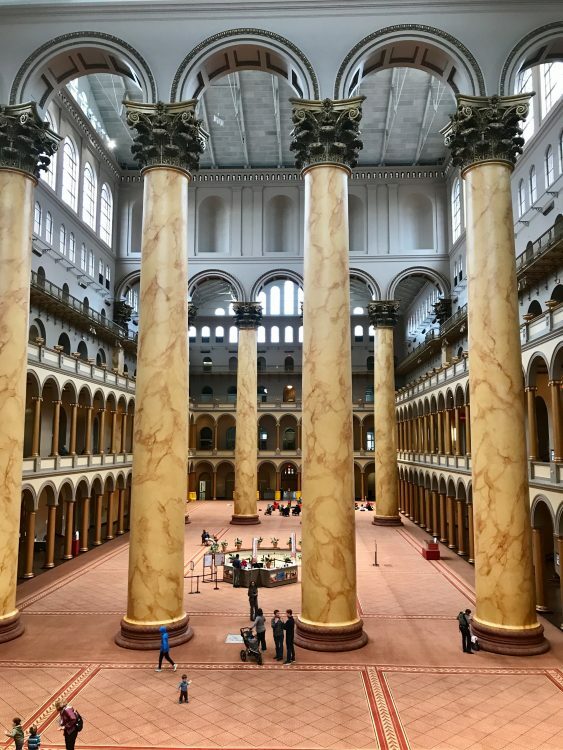 Here are some photos I took at the exhibit and from the National Building Museum website that illustrate some of the findings of Desmond’s book. 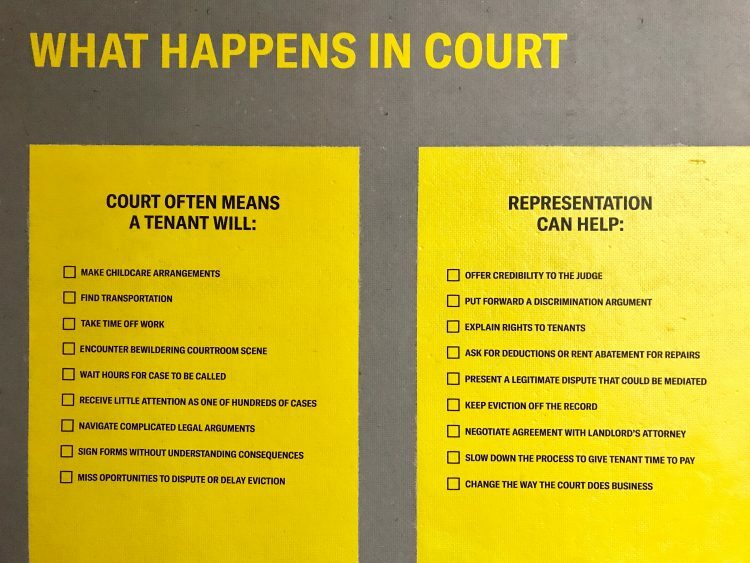 As noted earlier (Justice, Police and the Justice System and in various postings here) the criminal justice system is an enormous fraud when viewed from the promises of our Bill of Rights and our political culture. 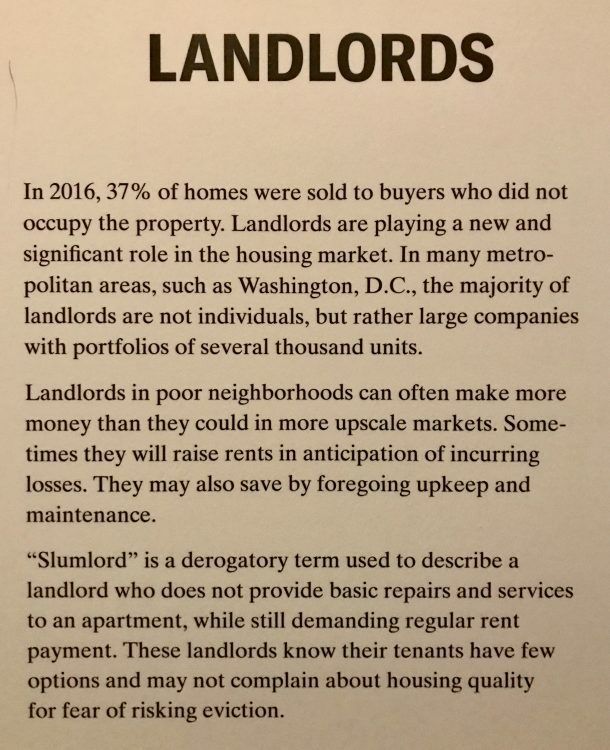 The civil system is no better as illustrated by the 90-10 ratio of legal representation for landlords vs tenants. 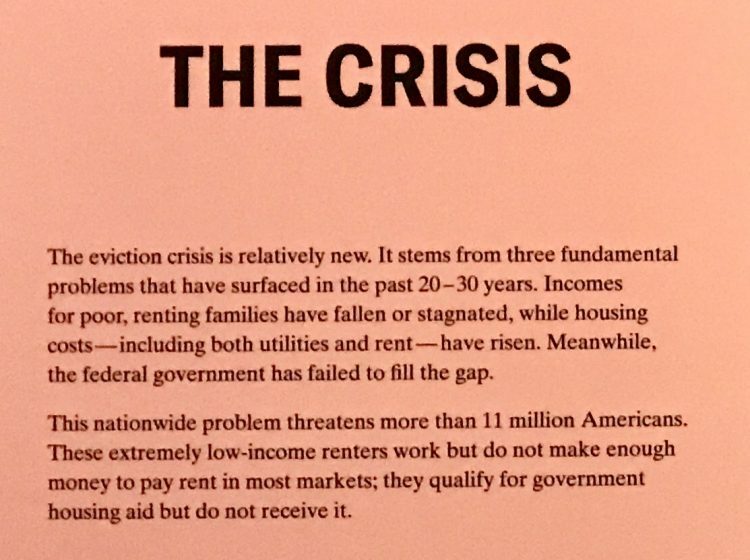 Capitalism has never generated enough affordable housing without very significant government support and direction. 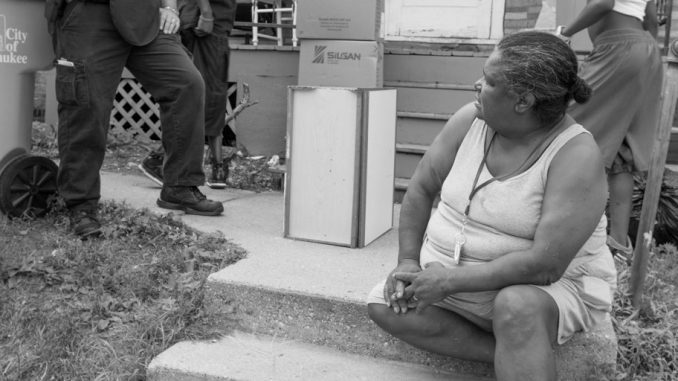 Nevertheless capitalism does provide yet another mode to extract wealth from the poor and middle class. 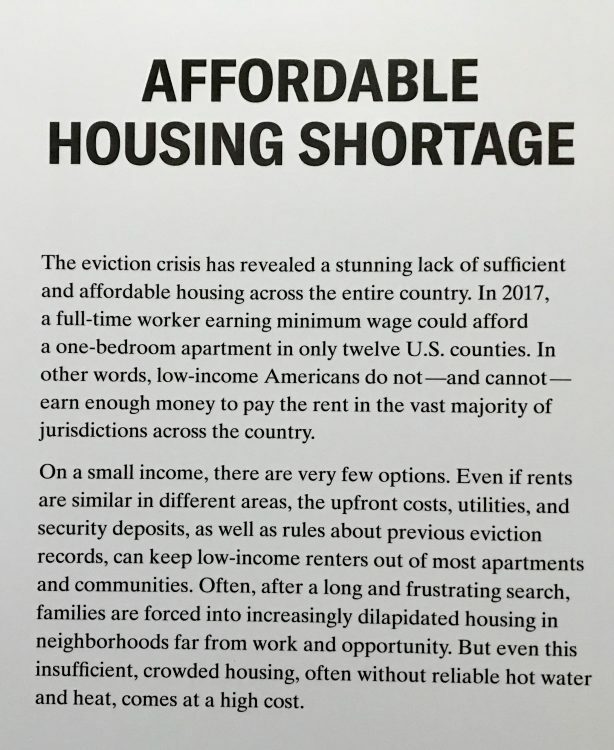 Another symptom of the failure of capitalism is the chronic lack of livable income jobs. 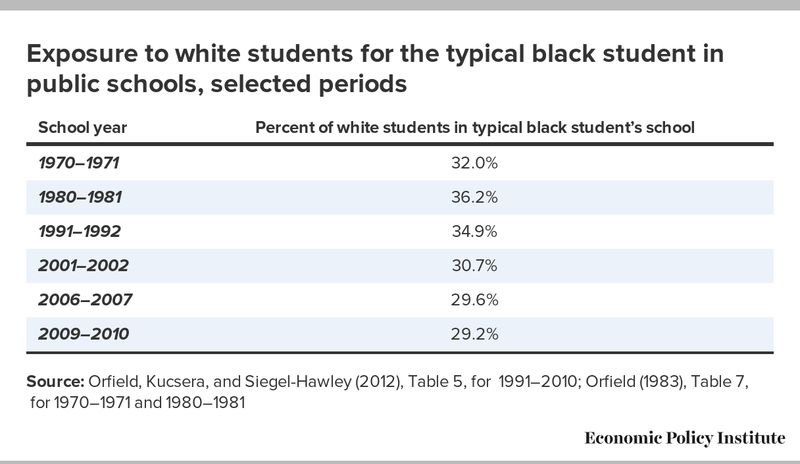 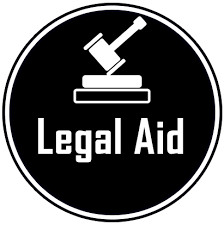 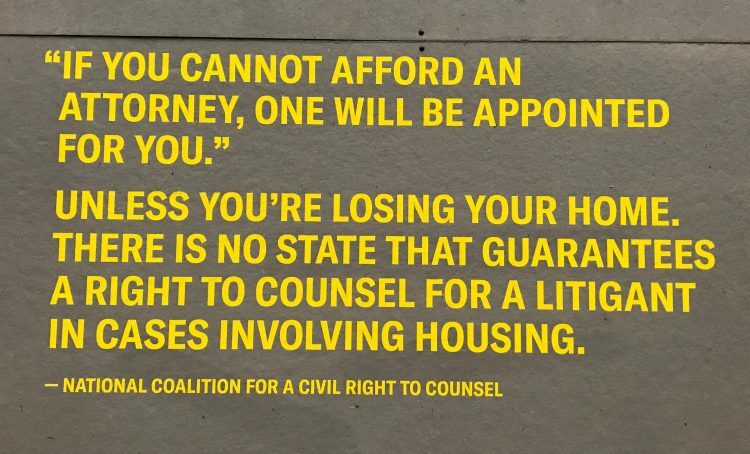 February 15, 2019 justice/jails Comments Off on Recently Noted – more unequal justice – lots of it….